Finally available as a double CD, this collection is dedicated to Endless Nostalgia, one of the cult-band par excellence of the Italian electronic New Wave of the Eighties. Better known for the single "Me & My Alter Ego" released in 1984, this electro-pop duo from Verona, Northern Italy, produced a large number of cassette releases that have become very sought-after items nowadays. This generous and well-structured collection is a testament to the quality of the formation that was centered on Luca Rigato (Bi Nostalgia), an author whose inspired melancholic vein of composition was gifted with a postmodern crooner voice and an enviable pop sensibility. 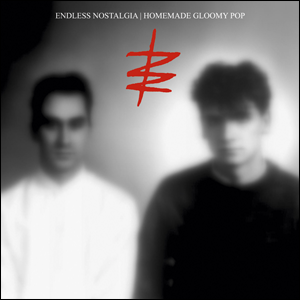 The thirty-seven tracks on this reissue were recorded between 1982 and 1989 and constitute a valuable anthology that collects a few unreleased pieces, the two songs from the 12” published by Anemic Music (IRA Records) and completely remastered material taken from the following cassette releases: "Two Days of Light", "Memories In Heaven", “Lost" and "The Art of Nothing". The "Endless Nostalgia" of an Italian way to music that had nothing to envy to the international scene; electronic rhythms and harmonious melodies, simple dreamy songs that were never ordinary, easy and immediate music arranged with a superb mastery.